Most of the natural heritage and biodiversity in Gabon is found outside protected areas, which leaves it particularly vulnerable to industrial expansion. Small-scale or artisanal mining is a vital source of income for thousands of families in Central Africa. However, it can also have significant environmental and social impacts. We are working with government agencies to continue to improve knowledge of the sector. We have begun a nationwide inventory of artisanal gold mining sites, recording their scope, techniques used and environmental impacts. Assess stakeholders in their ability to participate in the development of a certification system of "sustainable gold mining" adapted to Gabon. Oil palm plantations are expanding in Central Africa. They can contribute significantly to the economy, employment and food security. However, they are causing serious environmental impacts, as natural ecosystems like forests are cleared to make way for plantations. In Gabon, the government is committed to adopt the highest international standards for the cultivation of palm oil. In practice, this means the criteria for certified sustainable palm oil developed by the RSPO. As RSPO members, the two largest firms in Gabon are committed to adopt these principles. Steering the participatory process on national interpretation, creating a national taskforce and conducting meetings of the working group. 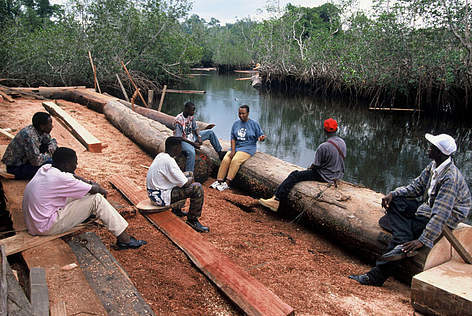 Traditionally, Gabon’s economy was built on logging and oil exploitation. Although some mining sites have been developed in the past, the sector is currently booming, focusing on numerous minerals such as iron, gold and manganese. Mining exploration concessions now cover a large part of the country. With the high price of gold, small-scale gold mining has grown throughout the country as well. 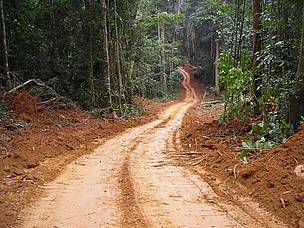 Oil palm and rubber plantations are also being developed. 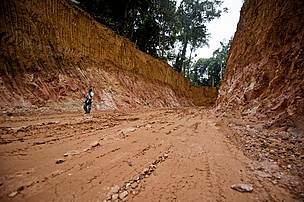 The extractive industries program works across the whole of Gabon with a particular focus on the areas of intervention of the three field programmes.